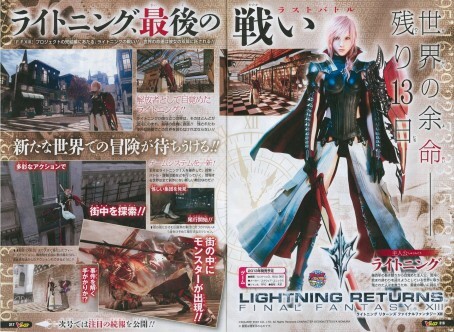 This month’s issue of the Japanese V-Jump gaming magazine contains a spread on the highly anticipated action RPG Lightning Returns: Final Fantasy XIII. This spread contains the first official in-game screenshots of the title. One of the series’ many passionate fans quickly scanned this spread and tweeted it for the world to see. 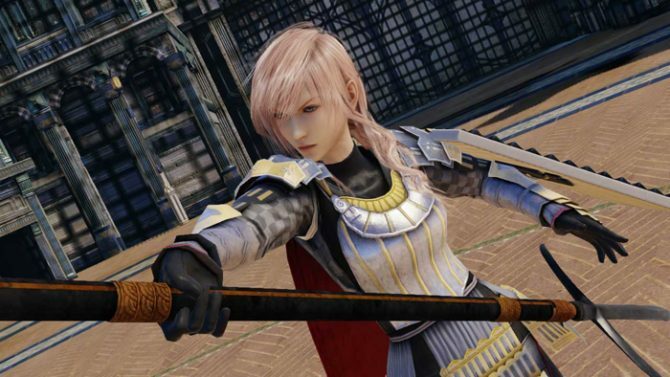 Although the quality isn’t the best, you can clearly see Lightning’s interesting new costume in the screens. 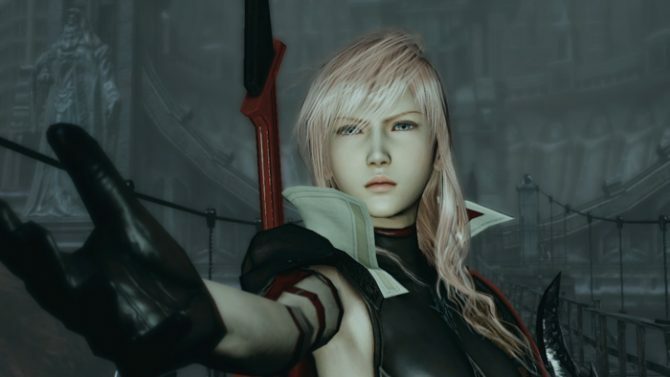 You can also see her standing in a lovely town or city, doing battle with what looks like a Behemoth, and running along a wall (I think). 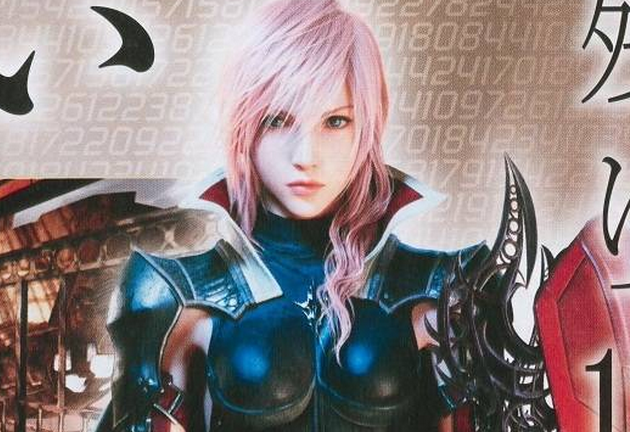 A few select new game-play details have also arisen. 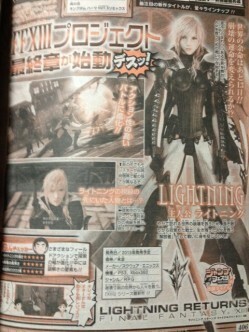 Lightning will be able to freely traverse obstacles in the environment (hence the wall-run, I’m guessing). Monsters will be present in cities and towns, in addition to other areas, and the strength of certain monsters will be dependent upon the time of day in the game. Finally, a new trailer for the game will be shown at the Jump Festa, which will take place this Saturday in Japan. 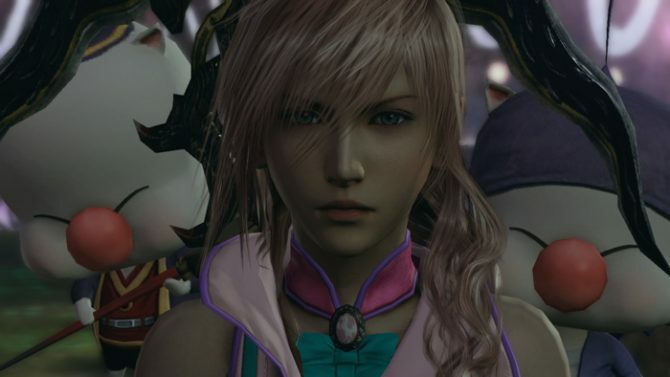 Final Fantasy XIII wasn’t my cup of tea and I didn’t play much of XIII-2, but Lightning Returns looks pretty interesting. 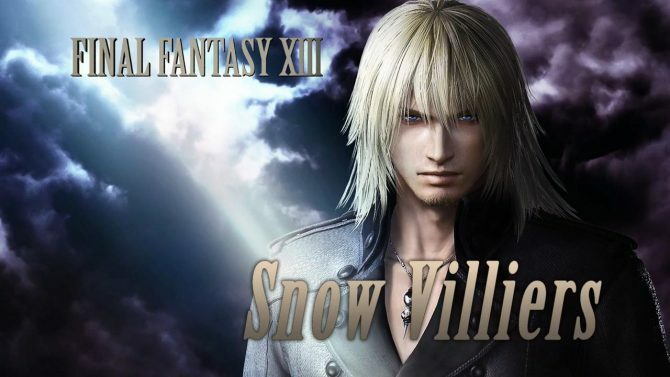 The game will be available for the PS3 and Xbox 360 sometime next year.